Updated. The Department of Motor Vehicle vehicle renewals with US Bank E-Payment services are now operational. Thank you for your patience. The Self-Service Terminals (SST) and Internet Vehicle Renewals that use US Bank for our E-Payment services were taken offline at 9:09 am (CT) on Friday, April 11, 2014. These were taken offline to resolve the issues that arose during standard database updates. In order to correct these issues, E-Payment Services will be unavailable for the remainder of Friday, April 11th. Issues will be resolved as soon as possible and services made available. This issue is not related to the Internet security threat known as the 'Heartbleed' bug. E-Payment Service does not use OpenSSL encryption software, which is the software that is vulnerable to the security flaw that 'Heartbleed' exploits. Deposits for electricity, natural gas, or telephone services are no longer subject to sales tax. 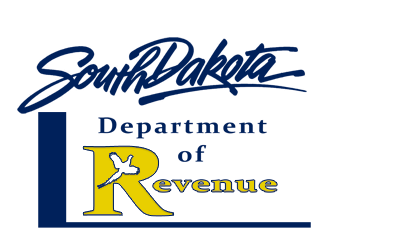 Any taxes previously collected and reported on deposits for utilities should be refunded to the customer when the deposit is refunded. Hookup and disconnect fees that do not include construction services are still subject to sales tax when the utility service is also subject to sales tax. For more information on Qualified Utilites, read more in the Tax Fact. Also, more information regarding Utilities is in the 2014 April E-News. The April E-News went out today! Catch up on what's happening at the Department! Starting April 1st, you will notice some changes with EPath. We have redesigned the front page to include more features, as well as to make the front page more mobile device friendly. Also, the EPath link has changed to: https://apps.sd.gov/RV23EPath/Login.aspx. If you have a bookmark you will want to update this. The bookmark for the old application will be redirected to this new page. 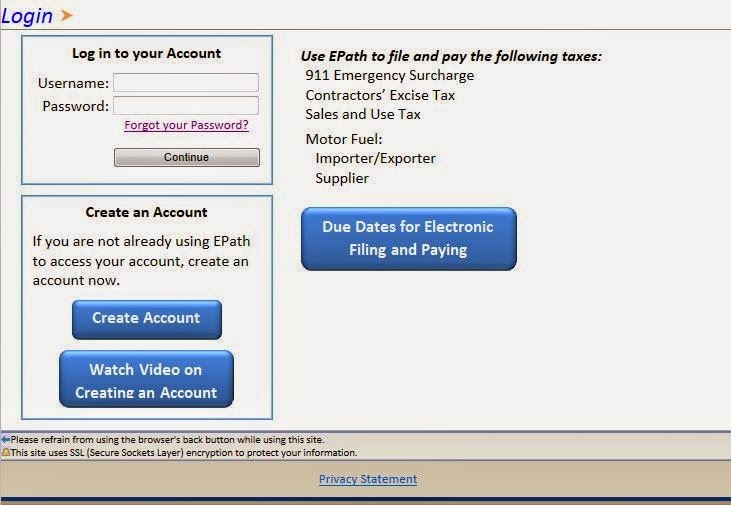 http://sd.gov/epath will also be redirected there as well. As you can see, the login for EPath is now in the upper left hand corner. You can still create a new account from the main page, and also watch a video on how to set it up. Lastly, we have provided a link for the file and pay due dates for the year, so you have quick access to review them.